Get thee quickly from my sight, lest the birds of night curse you in the god's ears! 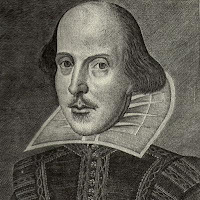 Hi, Bill Shakespeare here. The above line is just one of many things that came to mind while I was watching Tyler Perry's latest feature. I know, I know; how do I keep writing reviews from beyond the grave? I think a better question is why do so many continue to shell out an ungodly amount of cash for tickets to these poor excuses for movies. Back in my day, before I died and found myself playing canasta in the after life with some idiot who froze himself to death with a chicken, we had standards. Sure we didn't have the big budgets or the technology or running water, but we had something more valuable; me. I'm what the common people would refer to as a 'good make words man.' They weren't the most educated of people back then. I held myself to a standard that some would call perfectionism. I just like to say that I wrote the F*** S*** out of those plays. Though some of them shared similar themes, each was unique in it's presentation. Something I can't say the same for of this Tyler Perry. Each one of his movies are exactly the same as before, just the names have been changed to protect Perry's identity. Let's face it, he maybe a smart businessman, but as a writer, he's no me. I'll tell you something else this film needed. We used to hang masks outside the play either with a sad face or a happy face, so you at least knew what you'd be seeing. I see clear attempts at humor in this, but I'm never sure if I should actually laugh out of kindness or if I should keep my peace. I probably gained 5 pounds in popcorn, since going to the concessions stand was more entertaining. Bottom line, if you've ever seen one of his movies, you'll have seen this one too. Do yourself a favor and go see something else. Now if you'll excuse me I need to go wash out my eyeballs before I resume spinning comfortably in my grave. How many times do I have to tell you you're so freakin' creative? TS, aside from blogging, what is your career? I forget if you're a student or a writer, etc. Great review. I agree your are awesomely talented. I get a kick out of every post. Brilliant! What a creative post! Hey, I say that if you KNOW of Tyler Perry but you still watch one of his movies then you got no one to blame but yourself. You are not black so those movies aren't suppose to 'REACH' you or me or anyone who doesn't take the bus three hours each way to school. How you effortlessly link Bill Shakespeare to Tyler Perry I'll never know!!! Great post, TS! I am not a fan of this mindless drivel hoisted on the entertainment-seeking masses any more than ol' Bill! Thanks for taking Tyler Perry down a notch. Hilarious! To quote you kind bard. Sir Perry is but "a beslubbering shard-borne maggot-pie!" Never seen Perry's stuff, but have seen lots of Shakey's. So if that's what he feels about Perry's movies, I won't ever bother. Well, at least not more than once, anyway. Apparently one is all you need. And per the above comment - I'm curious now also about what you do. I hope you're a magician, but strictly pro bono.